Unspoiled nature of the Croatian National Parks and the diversity of flora and fauna will leave no one indifferent. 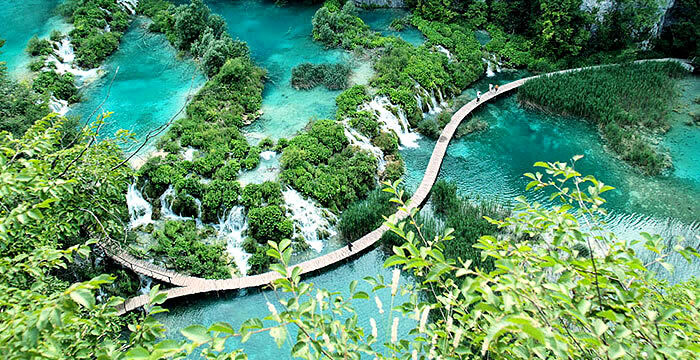 Croatia has eight national parks : Brijuni, Kornati, Krka, Mljet, Paklenica,Plitvice Lakes, Risnjak and Northern Velebit, whose unspoiled nature takes almost 8 % of Croatia. If you want to explore Croatian National parks, National park Brijuni, which has its 14 islands and is often reffered as heaven on earth, National park Kornati, with about 140 small islands which are known for its wonderful shapes, varied and unusual forms and high cliffs, or National park Plitvice Lakes with 16 lakes which are connected by waterfalls as high as 78 meters are only some of the Croatian national parks that will simply amaze you with its natural beauties. Do you want peace, relaxation and enjoyment in unspolied natural beauty? Do you want to spend an unforgettable active vacation through scuba diving, rock climbing, hiking or biking? Uniline can make your every wish come true!